We've covered a number of competitions thus far, contest in areas like photography, poetry, humanities and history, vocal talent, contests for students with disabilities, and much, much more. Regeneron Science Talent Search: this is the nation's oldest and most prestigious math and science competition. Each scholar receives a $2,000 award with an additional $2,000 going to their respective school. Finalists compete in Washington, D.C.
Siemens Competition in Math, Science, and Technology: the nation's premier science research contest invites high school students to explore their scientific interests in individual or team projects, fostering intensive research and improving understanding of the value of scientific study. Scholarship prizes range from $1,000 to $100,000. Intel International Science and Engineering Fair: this is the world's largest international, pre-college science competition and asks high school students to showcase their independent research to compete for $4 million in prizes. eCYBERMISSION: this is a web-based STEAM competition for sixth- through ninth-grade students. Students work in teams of three or four to respond to problems in their community with the opportunity to win state, regional, and national awards. ExploraVision: this is a science competition for teams of 2-4 students in grades K-12 to describe what technology might look like in the future, including the scientific principles involved. Many prizes are awarded, including savings bonds worth up to $10,000, an all-expenses-paid trip to Washington, D.C., technology and science-related gifts, and certificates of participation. Junior Science & Humanities Symposia: this contest connects high school students with mentors from the Army, Navy, and Air Force to promote original research and experimentation in the sciences, technology, engineering, and mathematics. Students compete for regional and national scholarship awards. ​Imagine Cup: win up to $100,000 in Microsoft's premier international competition for high school students interested in coding, software, and design. FIRST Tech Challenge: this team challenge (10+ members, grades 7-12) asks students to design, build, program, and operate robots (while developing STEM skills and practicing engineering principles) to compete in a head-to-head challenge. Competition winners have access to tens of millions of dollars of scholarship funding. 3M Young Scientist Challenge: this contest is open to students in grades 5-8 and asks them to submit a 1-2 minute video describing a unique solution to an everyday problem. Many applicants will win prize packages, ten finalists will be chosen, and a grand-prize winner will receive $25,000 and an exclusive 3M mentorship. The Conrad Spirit of Innovation Challenge: this competition asks students to employ knowledge in science, engineering, and math innovation as well as entrepreneurship to develop extraordinary and viable solutions to benefit our world in areas like aerospace and aviation, cyber-technology and security, energy and environment, health and nutrition, and a smoke-free world. Google Science Fair: in this online science competition, students can win various awards ranging from the Scientific American Innovator, the National Geographic explorer, the LEGO Education Builder, the Virgin Galactic Pioneer, and more. The grand-prize winner will receive $50,000 in scholarship funding. Science Olympiad: much like an athletic event, students work in teams and compete in a series of 23 events, focusing on fields like genetics, earth science, chemistry, anatomy, physics, geology, mechanical engineering, and technology. Imagine the Future Youth Video Challenge: this contest asks students ages 11-18 to envision a better world by 2042. Entrants should produce a short video to describe their solution, focusing on science, technology, art, or design. Prizes include a three-day trip to Washington, D.C., a film-making mentorship, a film screening at the Arthur C. Clarke Foundation Centenary Event, and scholarship money. National STEM Video Game Challenge: this competition asks students to submit original video games and game design concepts in platforms like GameMaker, Gamestar Mechanic, Scratch, and Unity. Founded as part of the White House's "Educate to Innovate" campaign, the contest was designed to motivate interest in STEM among teens by engaging their passion for video games. Challenge winners receive a cash prize of $1,000, a lifetime subscription to Gamestar Mechanic, and the opportunity to consult with a game industry professional. The College of Fine and Applied Arts (University of Illinois): students in grades 9-12 can compete in a number of contests, including self-portrait, architectural drawing, choreography, urban planning, and more in order to compete for a scholarship in one of the college's degree programs or a summer program. Doodle 4 Google: students in grades K-12 are asked to create an uplifting "doodle" that incorporates the letters G-O-O-G-L-E and tells the world what inspires them. One national winner will receive a $30,000 college scholarship, a $50,000 technology package for their school or non-profit organization, and a behind-the-scenes experience with the doodle team at Google. NSHSS Visual Arts Competition: the National Society of High School Scholars sponsors this contest that honors original work in two categories: photography/digital photography and painting/drawing/mixed media/digital art. The first-place winner in each category earns $1,000, the second prize $500, and the third prize $250. National Geographic Student Photo Contest: this competition asks middle and high school students to submit up to five photographs that capture the spirit of exploration along with a 100-word description of the "moment" captured and how it reflects what exploration means to the photographer. One grand-prize winner will be awarded a National Geographic Student Expeditions photography trip to a place like Barcelona, Prague, Yellowstone, Costa Rica, Iceland, Monterey Bay, and more. Wildlife Photographer of the Year: sponsored by the Natural History Museum, this competition is open to students 17 and younger. (Individuals 18 and older qualify in the adult category.) Students are encouraged to submit up to ten photographs ranging from animal portraiture, action or behavior, as well as the wider habitats of wildlife. Contest winners receive monetary prizes, certificates, and invites to the awards ceremony in London. The Musical Theater Songwriting Challenge: sponsored by the National Endowment for the Arts, the American Theatre Wing, Playbill, Inc., and Disney Theatrical Productions, this contest offers six finalists mentorship opportunities with professional songwriters and musicians as well as scholarship awards. Skipping Stones Youth Honor Award: this competition is open to youth ages 7 to 17 and asks for submissions in categories of original writing (essays, interviews, poems, plays, short stories, etc.) and art (photos, paintings, cartoons, etc.) to raise multicultural awareness, international understanding, and nature appreciation. Sponsored by Stepping Stone magazine, the contest welcomes non-English and bilingual pieces as well. Contest winners will be published and receive other prizes as well. NextNotes High School Composition Award: sponsored by the American Composers Forum, this contest requires students in grades 9-12 to showcase their creative voice and submit a single composition in any genre or style. Six grand-prize winners receive mentorship from professional composers and musicians, an all-expenses-paid trip to the workshop, a public concert of the winning works, Finale software, a scholarship of $1,000, and $500 in "bring it home" funds to share their accomplishment. Congressional Art Competition: this contest is open to students in grades 9-12 and requires students to submit an original piece of 2D artwork in a multitude of media to their representative's office. A panel of district artists will select the winning entries, which are then recognized in their district and at an awards ceremony in Washington, D.C. Winning entries will also be displayed for one year at the U.S. Capitol. Science Without Borders: this international art competition asks students to promote the need to preserve, protect, and restore the world's oceans and aquatic resources. With the theme changing from year to year, the contest requires students to get creative while learning about ocean conservation. It is open to students age 11-19 and awards scholarships of up to $500 to the winning entries. American Foreign Service Association: this essay competition asks students to consider successful and unsuccessful approaches the United States has taken to build peace in a conflict-affected area. Contest winner receives $2,500, a trip to Washington, D.C., and a full scholarship for the Semester at Sea educational voyage. Bennington Young Writers Award: students may submit poetry (a collection of three poems), fiction (a short story or one-act play), or non-fiction (a personal or academic essay). Winners will be published on the Bennington College website. EngineerGirl Writing Contest: open to elementary, middle, and high school students (both male and female), this contest requires a letter to your city or county council about a system in your community that can be improved -- and two engineering solutions that could make it better. Competition winners receive up to $500. Profile in Courage Essay Contest: the John F. Kennedy Library Foundation asks students to describe and analyze an act of political courage by a U.S. elected official during or after 1917. The first-place winner receives $10,000, the second-place winner receives $1,000, and five finalists receive $500 each. The International Scenario Writing Competition: sponsored by Future Problem Solving Program International, this essay contest requires students to write a futuristic story based on the current year's topics. The essay should be 1,500 words or less and should occur at least 20 years in the future. Compositions are judged on content development, creativity, futuristic elements, and personal touch. Winners will be published and are invited to attend the FPS International Conference. Quill and Scroll International Writing, Photo, and Multimedia Contest: students are invited to submit published written and artistic work in 23 different categories, including sports writing, profile writing, multimedia storytelling, photo illustration, informational graphic, feature page design, and more. Contest winners will receive a plaque and a Quill and Scroll National Award Gold Key, and seniors may apply for scholarship money. MIT's INSPIRE Competition: this is the nation's first (and only) competition for the humanities, arts, and social sciences. Students are asked to complete original inquiry project in one of 13 disciplines, ranging from anthropology to economics to linguistics to music to women and gender studies and beyond, all for the chance to compete in a two-day event on MIT's campus and win awards and monetary prizes. TOPPS Competition for High School Psychology Students: this contest asks students to submit an essay on a given topic, including psychological research, a cover page, an abstract, and APA-formatted citations. Four winners each earn a $250 award. Speak Truth to Power Video Contest: sponsored in part by the American Federation of Teachers and the Tribeca Film Institute, this competition invites middle and high school students to create a 3-5 minute video about the work of a human rights defender, asking students to make a connection between this individual and Robert F. Kennedy, either through a quote, archival footage, or the narrative. The grand-prize winner will have their video premiered at the Tribeca Film Festival. Congressional Data Challenge: the Library of Congress is sponsoring this contest to advance the discovery, use, and exploration of the collection of legislative information on their website. The contest requires students to create interactive visualizations, mobile or desktop applications, a website, or another digital creation to make access to data more user friendly. The first-place winner will receive $5,000, and the second-place $1,000. 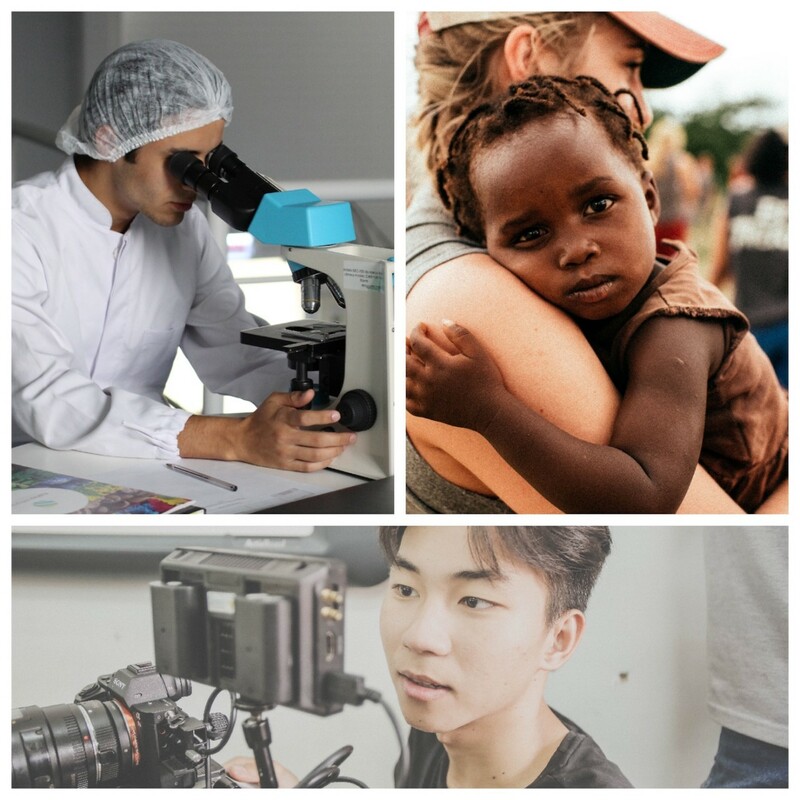 World of 7 Billion Student Video Contest: this competition asks students to create a video (no longer than 60 seconds) about human population growth, specifically highlighting one of three global challenges: advancing women and girls, feeding 10 billion, or preventing pollution. Students must also develop at least one idea of a sustainable solution. Monetary prizes are awarded for first, second, and third place in all three categories at both the middle and high school levels. Stemanities Research Competition: A national research competition for high school students that conduct research integrating the fields of STEM and humanities to encourage research that examines its chosen topic comprehensively by utilizing both of these fields to obtain a more in depth and nuanced perspective. Stemanities is sponsored by the Institute for Biomedical Sciences, and selected finalists will be invited to La Jolla, California to present their research and compete for monetary awards. Gloria Barron Prize for Young Heroes: this award celebrates public-spirited young people from all across North America, young leaders age 8-18 who have made a significant positive impact on others and/or the environment. Winners each receive a $10,000 award to be applied to their post-secondary education or their organization. Blue Ocean Entrepreneurship Competition: this is the largest entrepreneurship competition run by and for high school students. It asks teams to pitch innovative business concepts to compete for $3,000 in cash prizes. Additionally, $1,000 will be given to the top three high schools with the most team entrants. Davidson Institute Fellow: this scholarship competition is open to students 18 and younger (no minimum age) but is not geared toward novices. Rather, students focus on science, technology, engineering, mathematics, literature, music, or philosophy and create "significant work" that experts in the field recognize as meaningful and has the potential to make a positive contribution to society. Competition winners will receive up to $50,000 in scholarship money. Rubincam Youth Award: sponsored by the National Genealogical Society (NGS), this competition is open to students ages 13-18 and asks them to be family historians and prepare a genealogy (requirements vary depending on age of applicant). Contest winners will receive up to $500 cash prizes as well as NGS membership and publication. The Prudential Spirit of Community Award: this is the United States' largest youth recognition program based solely on volunteer community service, honoring students grades 5-12 for outstanding service at the local, state, and national level. State honorees receive an engraved medallion, a $1,000 monetary award, and an all-expenses-paid trip to Washington, D.C., for several days of recognition events.